Just playing a small part with small parts. Time to crack out the Remington 5 for a bit. And as it is such a nice day, the front deck will be perfect. 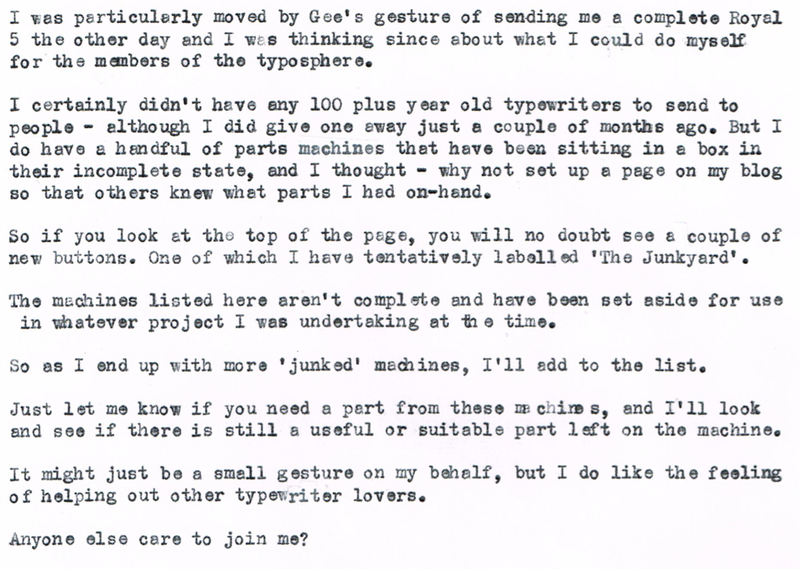 December 7, 2013 in parts, parts machine., typecast, typewriter. ← An open letter to the Blogger/Google staff. Scott, That is a great idea. I too have parts machines. Perhaps all of us who have those should post them so others know what may be available if they need a part. 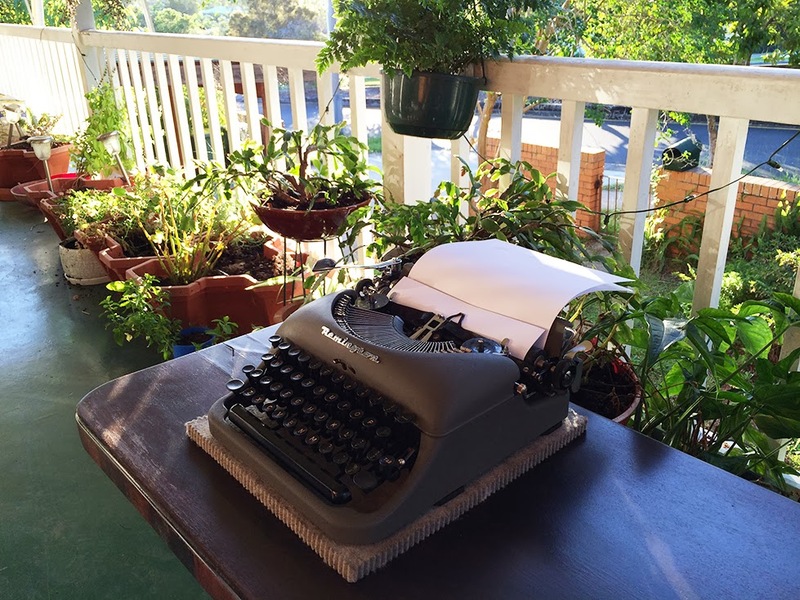 Not too sure if and when I can do it since we are getting ready to relocate and I have much more work than I ever imagined to prepare — including how I am going to safely transport 50 or more working typewriters and all the radios I have acquired in the past 10 years. Great! I like to think of parts like “organ donations”… the host may be gone but other's live because of their gift. It is a wonderful thing to do. I've been thinking of doing the same thing myself, especially after I noticed your new page last night! Excellent idea. I'll be emailing you soon as well. Parts sharing is an inspired idea. Best of luck with that! I'd imagine that's quite a haul. I'd like to think so. Mind you, I'm trying to figure out how not to become a supplier of parts for some of the dodgy dealers that lurk around some of the members of the typosphere. My car license in Victoria used to read 'potential organ donor', a label that I found most disconcerting. And you are right. The host here is gone, but the parts live on. Got the email. I didn't have a moment to dig through the box this afternoon to get that bit, but I'll be talking to you soon. Got to look after your peeps! What a great idea! Unless someone is lucky enough to have a bunch of parts given to them, sharing pieces and parts between each other is almost a necessity, it seems to me. I've got a couple of machines like that – maybe I'll add a page to my website too! *Scott* – sorry about the typo! Wonderful! Put those bits and pieces back to work!